moist areas to keep from drying out. you will find them in the home around sources of moisture like sinks, bathtubs and toilets. 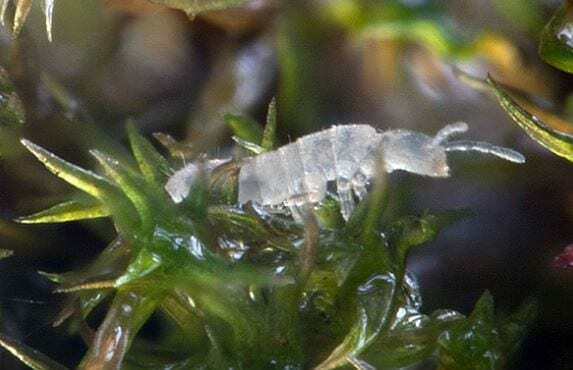 dry environment, springtails will eventually dry out and die. bathroom plumbing where the pipes come up from the basement or crawlspace will be effective. apply enough water with the chemical to penetrate through the mulch to the soil. When applying an insecticide inside use an insecticide that is labeled for inside the home use. insecticide, remember to read and follow the labeled directions. pathway to get to the foundation, but also it will allow you to effectively spray in the soil layers. phone at the office or send me an e-mail. « Previous Article It’s Time to Look at Seed Catalogs!